Aikido - Male Tripoli campus. 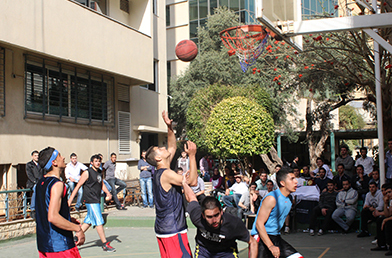 Basketball - Male Beirut, Tripoli, Mount Lebanon , Nabatieh, Saida, Bekaa and soon to be in Rayak. Basketball - Female Basketball for Women: Beirut, Tripoli, Mount Lebanon , Bekaa and soon in Ryak. Chess Beirut and Saida campuses. Soccer - Male Beirut, Tripoli, Nabatieh, Mount Lebanon , Saida, Bekaa, soon to be in both Rayak and tyre. Tennis � Male Beirut and Tripoli campuses. 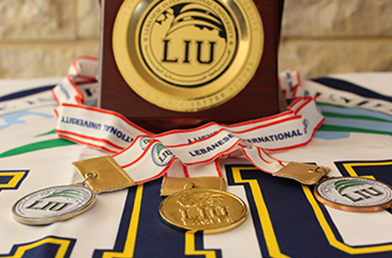 If you wish to join any of these teams you should apply at the athletics department at your campus or via email from your student email to liueagles@liu.edu.lb or (Mobile: +961 70 82 59 96) or by contacting the sports coordinator of each campus.